Your support directly advances medical research and educational programming at the Northwestern Medicine Digestive Health Center. As part of our family, you are part of a better future for digestive health. Our support of medical research and education at the Center enables our physician scientists to continue building integrated prevention, diagnosis, treatments and cures to improve current and future patient quality of life. Thank you for your generosity. We are excited to reach a new future with you. 2.) 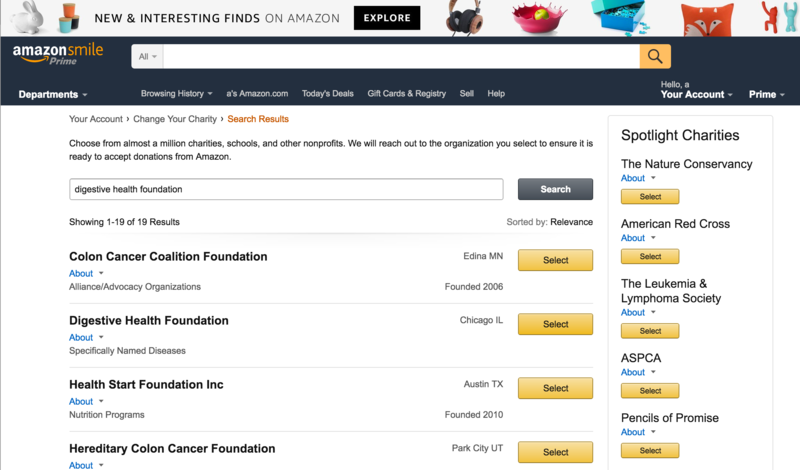 After enrolling and choosing DHF as the charity of your choice, always enter the Amazon website through smile.amazon.com on your computer, phone, tablet, or other mobile device. 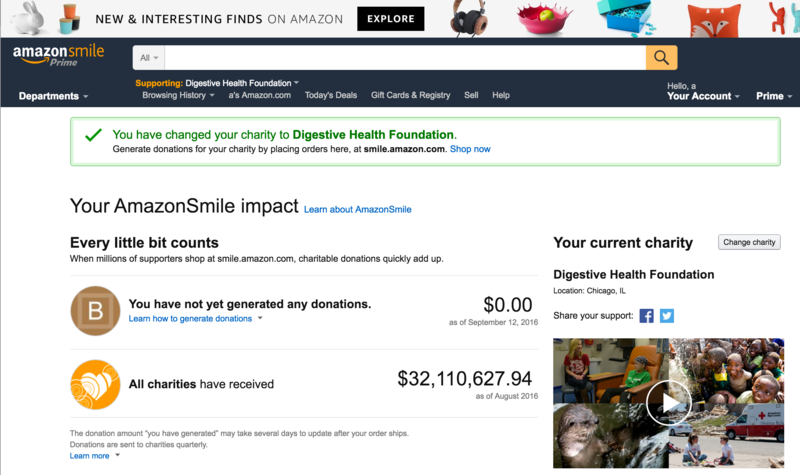 0.5% of your purchase will automatically go to DHF!